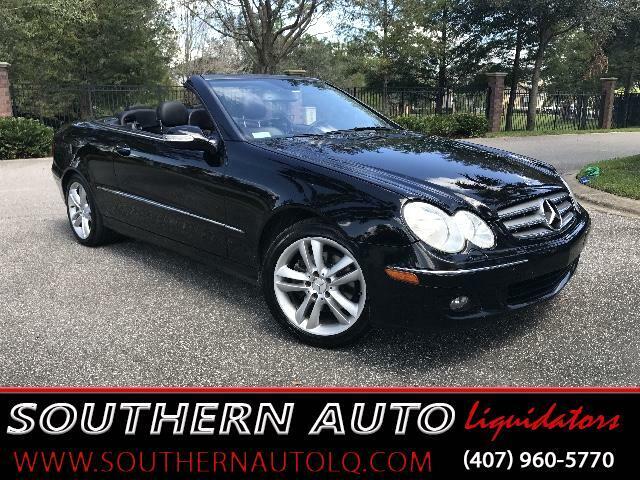 The 2006 Mercedes-Benz CLK 350 Offers sporty performance, elegant design, and interior luxury. The CLK is among the best of its class, a rolling statement of style and taste powered by a 3.5-liter V6 engine which produces 268 hp and 258 lb-ft of torque. This Luxury Convertible is RWD and comes equipped 7-Speed TouchShift Automatic . The Fabric top is in excellent condition fully lined and insolated and tucks neatly into the power body molded boot, Giving a clean elegant line. Rearward vision is impressive for a convertible. Mercedes did not let you down in the safety department, the cabriolet is equipped with two roll bars that deploy and lock n place in 0.3 seconds when needed . You can tell this one was loved, the premium black leather is in beautiful condition. The car is just super clean inside and out. You will not likely find another like it offered at such a low price. It’s a Mercedes so its totally loaded up, Power Top, Power Leather Interior, Power Windows, Power Locks, Power Mirrors, CD/AM/FM Premium Sound System, CD Changer, Ice Cold A/C, Leather Wrapped Steering Wheel with power Tilt, heated seats, Cruise Control, Etc.... Runs and Drives Fantastic, really a joy to drive. Come by Today, You won't be disappointed!!! Drive Fun, Drive Safe, Drive Cool!